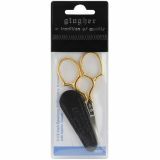 Epaulette Embroidery Scissors 3.5" - GINGHER-These embroidery scissors have been finished with needle sharp points and precision edges for the most intricate embroidery applications. Includes a fitted leather sheath. 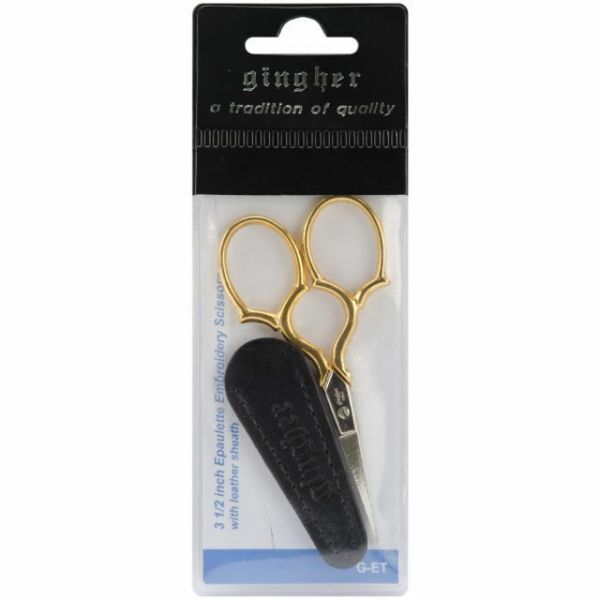 Feature nickel-plated blades and gold-plated handles. Measure 3-1/2. Imported.